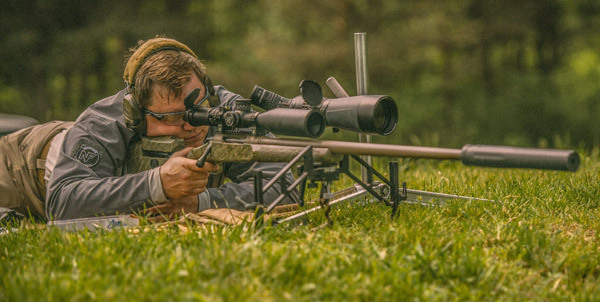 The American Hunter article also discusses how well suppressors actually reduce noise. User should be aware that the sound level of a large, centerfire hunting cartridge will still exceed 130 decibels (dB) on average, even with a typical suppressor (silencer) in place. For that reason, we recommend that hunters continue to wear ear protection even when they shoot suppressed. For example, Thunder Beast Arms says its latest Ultra 9 Suppressor will reduce the report of a .308 Win to 132-134 dB: “The ULTRA 9 will suppress a typical .308 bolt-action rifle down to approx. 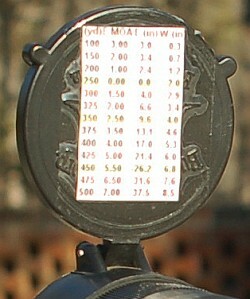 132-134 dB. 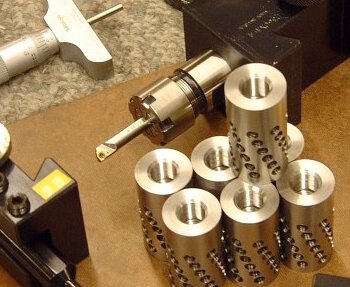 It also has very little or no ‘first round pop’ (FRP) in most applications.” NOTE: These dB levels are measured in accordance with MIL-STD-1474D using BK 2209 SLM offset one meter from muzzle. Firearms Are Loud — 140 dB to 175 dB. Audiology group ASHA explains: “Almost all firearms create noise that is over the 140-dB level. Exposure to noise greater than 140 dB can permanently damage hearing. 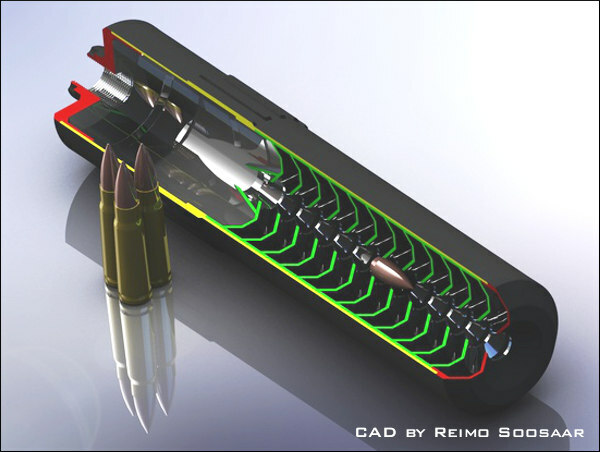 A small .22-caliber rifle can produce noise around 140 dB, while big-bore rifles and pistols can produce sound over 175 dB. Firing guns in a place where sounds can reverberate, or bounce off walls and other structures, can make noises louder and increase the risk of hearing loss. Also, adding muzzle brakes or other modifications can make the firearm louder. People who do not wear hearing protection while shooting can suffer a severe hearing loss with as little as one shot[.] Audiologists see this often, especially during hunting season when hunters and bystanders may be exposed to rapid fire from big-bore rifles, shotguns, or pistols.” Source: ASHA, Recreational Firearm Noise Exposure. To acquire a quality suppressor, you’ll first need to shop around, comparing verified performance. Unfortunately some manufacturer’s dB claims are exaggerated. Give due consideration to size, weight, and durability. When you’ve selected a brand and model, find a Class 3 dealer authorized by the ATF to sell suppressors. You must fill out ATF Form 4, get fingerprinted, and pass a background check. Along with two completed copies of Form 4, submit your fingerprint card, passport photo and a check for $200 to the ATF. Then you wait for the ATF to process your application. American Hunter says the average ATF suppressor processing wait time is now nine months. According to OSHA, the threshold for a hearing safe impulse noise is 140 dB. Without hearing protection, exposure to any impulse noise over 140dB causes varying degrees of permanent noise-induced hearing loss, which can also lead to tinnitus. Most well-engineered silencers take the dB level of their host firearm well below 140 dB, making those silencers effective primary hearing safety devices. You should always still wear hearing protection (muffs or plugs) when using suppressors. Share the post "Suppressors for Hunters — What You Need to Know"
You’d like to protect your hearing, and maybe you’re a little curious about how your rifle might shoot suppressed. So you’re thinking of buying a suppressor (aka “can”, “moderator”, “silencer”). You can’t just get one off the shelf at Walmart. Acquiring a suppressor requires filling out paperwork and paying a Federal $200 Tax Stamp. Plus there is typically a pretty long wait. 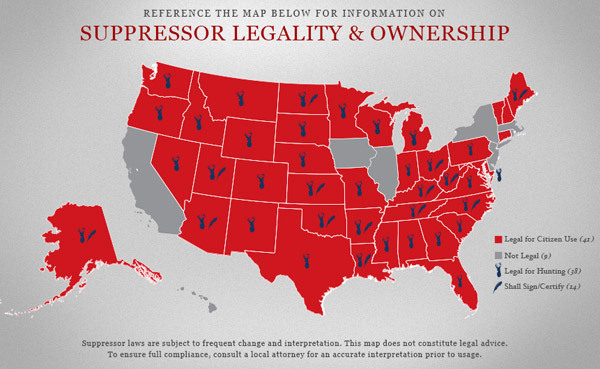 However, the good news is that suppressor ownership is now legal in 42 of the 50 American states — that’s 84%! For most American adults, getting a suppressor is legal, provided pass the required background checks. Note: Even if you live in one of the states listed, you should still verify that owning a suppressor is legal in your area. Some states may have municipal- or county-based restrictions. Unfortunately, there are still eight (8) States that forbid private ownership of suppressors. The eight No-Go States are: California, Delaware, Hawaii, Illinois, Massachusetts, New Jersey, New York, Rhode Island. In these eight states, private ownership of suppressors (aka “silencers”) is forbidden. Hopefully that a few of those eight hold-out states will change their laws in the months ahead. Story idea by Boyd Allen. We welcome reader submissions. Share the post "Suppressors Are Legal to Own in 42 States Now"
Last month, the National Shooting Sports Foundation (NSSF) hosted a suppressor demonstration at Elite Shooting Sports in Manassas, Virginia. Sig Sauer and Daniel Defense suppressor experts were presenters. Olin Corporation supplied ammunition. The Daniel Defense representative noted that suppressors do not render a firearm silent (despite what Hollywood movies might show). The sound level of an un-suppressed AR15 firing is 165-175 dB. With a suppressor in place, the sound level for the same 5.56 rifle drops to around 135-140 dB. That is a significant noise reduction, but the rifle is still producing a noise louder than a jack-hammer (and hearing protection is still recommended). Watch the video below to learn other important facts about firearm suppressors. The objective of the NSSF demo was to give the news media more accurate information about hearing protection devices. In addition, the NSSF wanted to correct many popular misconceptions about suppressors. Mainstream media reports about sound suppressors are typically inaccurate, incomplete, and misinformed. 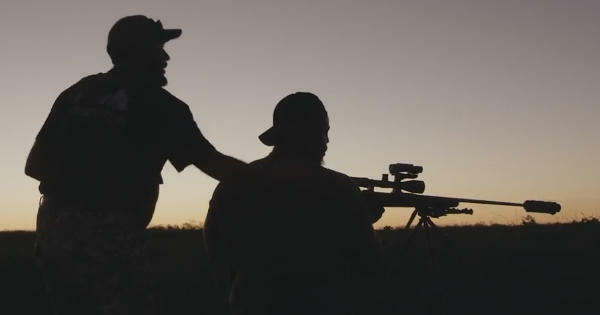 For example, most media stories fail to acknowledge that suppressors are legal throughout Europe, and widely used by European hunters and target shooters. If you were to believe the typical news report on suppressors, silencers are evil and dangerous. The NSSF demo was designed to replace ignorance with facts. Share the post "NSSF Hosts Suppressor Demonstration for News Media"
Share the post "TECH TIP: Optimizing Muzzle Brake Accuracy and Effectiveness"
In this article, Gun Watch Editor Dean Weingarten interviews SilencerCo Founder/CEO Josh Waldron. Started in 2008, SilencerCo is an amazing success story. The company now sells 18,000 silencers a month. 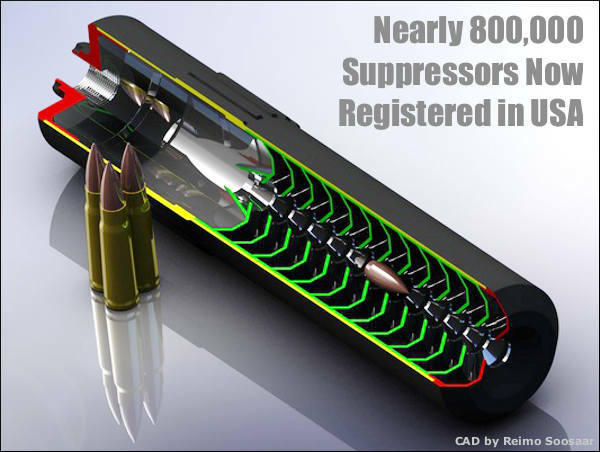 To put that in perspective, a decade ago, the entire domestic suppressor industry was selling 18,000 suppressors a YEAR. 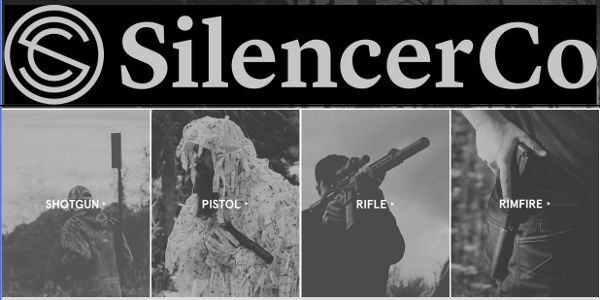 SilencerCo now controls 65% of the suppressor market in the USA, and its business is growing 100% a year. This growth is remarkable considering that suppressors remain highly regulated and costly to acquire. 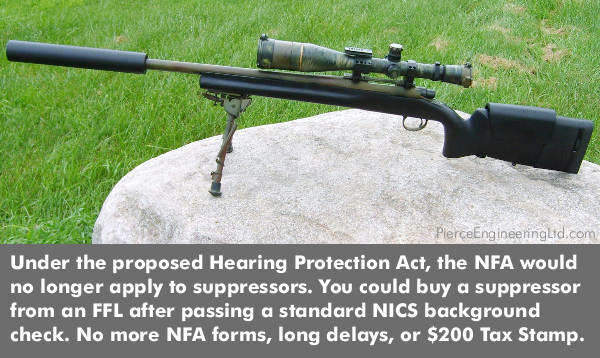 The National Firearms Act (NFA), passed in 1934, imposes significant restrictions and requires a $200 tax to be paid on each silencer sold. 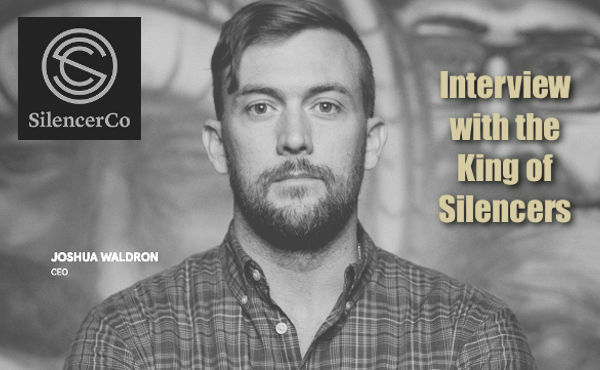 At the NRA Annual Meeting in Louisville, Kentucky, I was able to talk to Josh Waldron, CEO of SilencerCo. Josh is more than a visionary. He is a man who acted on his vision, and is changing the gun culture and the national culture. I [visited] the SilencerCo booth during the NRA Annual Meeting. I was told that SilencerCo produces about 65% of the silencers in the United States. The company is growing so fast that it was hard to keep up with the number of employees, currently about 330 and rising quickly. There is no doubt that SilencerCo holds a dominant market share and is growing at an exceptionally fast rate. I asked Josh about the future of silencers and silencer legislation. Q: Do you have a plan, and can you tell me about it? Q: Your market share is dominant. Your sales growth is exponential, isn’t it? 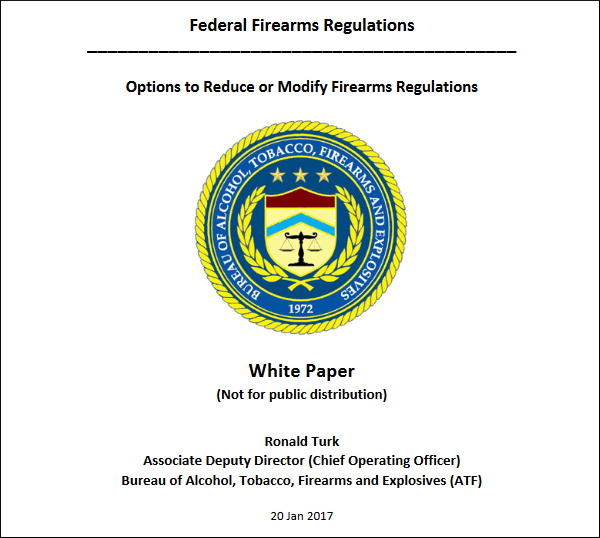 Q: Do you fear that removal of suppressors from the NFA (National Firearms Act) will cut into your profit margin? Q: I saw the Maxim 9, SilencerCo’s integrally-suppressed pistol, at the SHOT Show in Las Vegas. Is the Maxim 9 in production yet? Q: Is the Maxim 9 your entry into a future market of integrally-suppressed firearms? 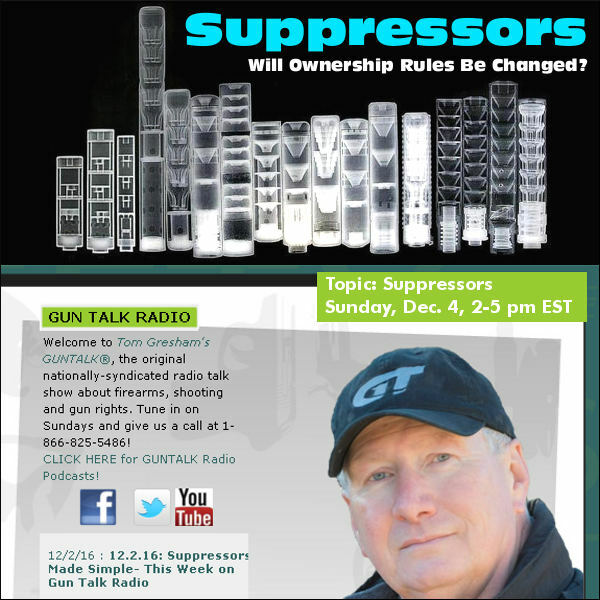 Q: Rifles have had a lot of [suppressor] solutions … for a long time. Q: You say you are going to stay on the high end. I looked at some of the markets. There is a lot of low end potential out there. Q: Are you exporting much? 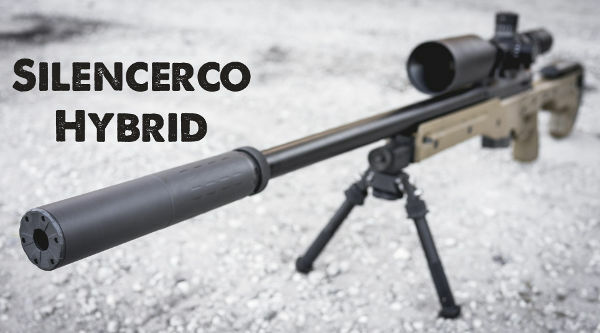 Q: Can [one buy stock in Silencerco]? 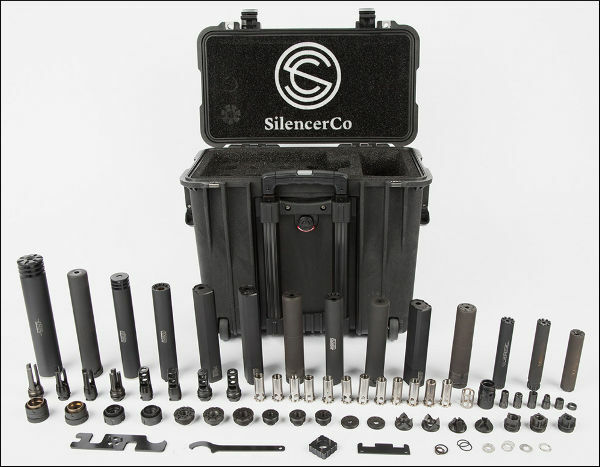 Share the post "SilencerCo Leads Huge Growth in USA Suppressor Market"
Here’s good news for suppressor owners in the Great Lakes state. The Michigan legislature has approved the use of suppressors for hunting. On February 11th, Michigan became the 38th state to allow for the use of firearm suppressors while hunting when the Natural Resources Commission (NRC) voted 4 – 1 to approve an amended version of Wildlife Conservation Order Amendment No. 1 of 2016. The measure became effective immediately. The American Suppressor Association led a coalition working to legalize suppressor hunting in Michigan. Other organizations involved were the National Rifle Association (NRA), the Congressional Sportsmen’s Foundation (CSF), Michigan United Conservation Clubs (MUCC), and Safari Club International (SCI). Share the post "Michigan Approves Use of Suppressors for Hunting"